Advent is just around the corner. Are you ready? If now, I’ve got some last minute ideas for you. Some of them might need a bit of shopping before you can create them at home, but you’ve still got a few days left. We only buy advent presents for the kids in our home, primarily because my husband isn’t too pleased with the idea in the first place. He thinks the kids get enough presents in December already. But I love each Sunday, because I think it’s special waking up to a small present, and then play with it afterwards. I think it’s an okay compromise, and I would rather buy four bigger presents than 24 small ones for each day. Even though, my husband isn’t into it at all, I’ve still got a long list of things I would have bought for him – had he been into it. I hope the gifts I’ve picked out will inspire you – and hopefully your man will be happy, when he opens it on a Sunday before Christmas. Are you ready for four Sundays of advent? Are you ready for the first Sunday of Advent yet? Have you made your Advent wreath? If not, hurry up and get your Kubus 4 candle holder and let’s get started. 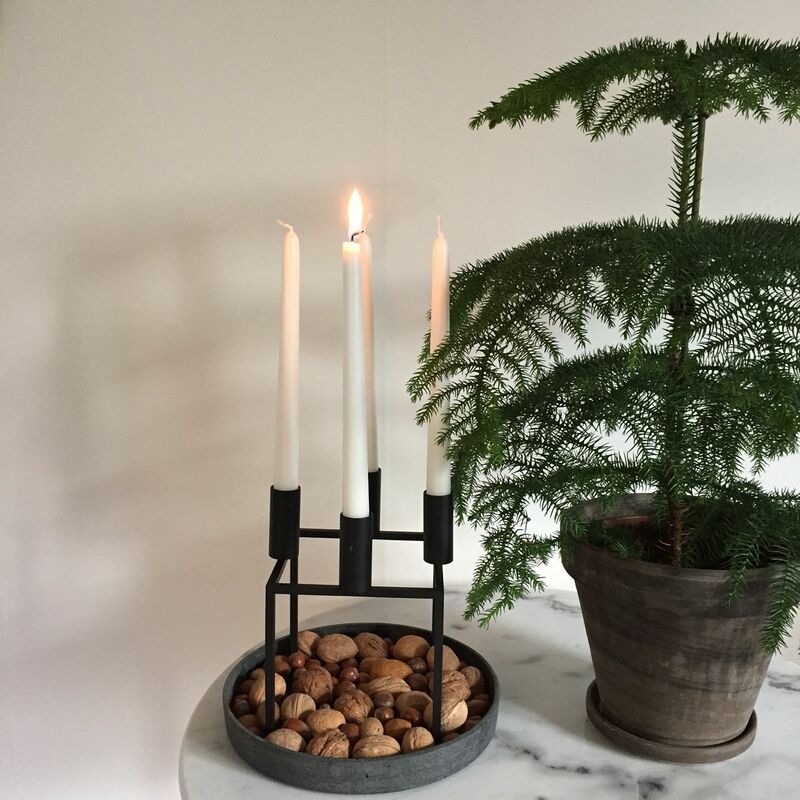 I’ve selected a few examples of how to decorate your ByLassen candle holder. I’ll show you a few tips on what to use this year. So don’t worry, you’ll make in time to sit back and enjoy the day with your family too. Check out what I did with my own Kubus 4 for Advent here on Instagram.